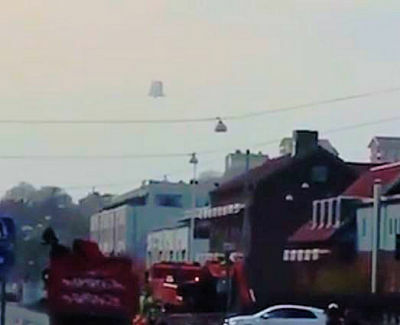 The strange flying object was caught in the sky of Gothenburg and theorists have speculated it could be proof of extra-terrestrial life. The intriguing footage was captured by baffled motorists inside the city of Gothenburg. A sighting of a mysterious UFO has sent the internet into meltdown.